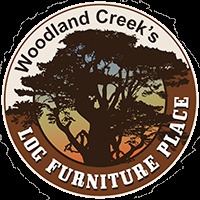 If only the best pet gear will do, browse Woodland Creek’s wood furniture for cats, dogs and ferrets! If your home, cabin, cottage or lodge houses only the best artisan-made country decor and rustic furniture items, don’t shortchange yourself when it comes to pet accessories. 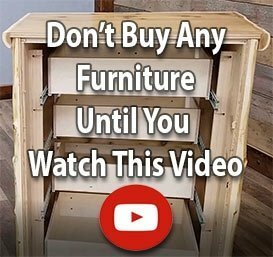 Whether you’re in the market for a handcrafted cedar log furniture bed for Kitten or an authentic cedar furniture pet feeder for Rex, we offer a wide variety of configurations in an assortment of pet-friendly sizes. Woodland Creek’s is the place to be – whether you’ve got a pointer, spaniel, retriever or coonhound. Like you, Woodland Creek’s has discriminating taste. But, when it comes to your pets, we don’t discriminate! Ask us about all of our cedar pet furniture options, which include: Handmade pet beds with a western furniture finish, pet daybeds to suit your southwestern decor and country furniture bunk beds for your pets that will blend seamlessly into your existing country decorating scheme. Rustic decorating is an art form that’s steeped in tradition and has stood the test of time, gaining momentum as the years go by. Which proves that – like our genuine, hardwood furnishings – people find comfort in surroundings which evoke a cabin decor or cowboy decor feel. Woodland Creek’s helps you preserve that tradition with handcrafted pet furnishings for years of beautiful use.